Fiercely grounded unity, lead by character. Barry Lewis Green moves the needle on it… BIG TIME, with a joyful ferocity and thoughtful zeal. Barry and Epic Engage™ help world embracing educators, entrepreneurs and emerging leaders to forge strong and united cultures at school, work, business and community. Grounded in strength of character and unity in diversity, our work is about moving forward together, ever stronger. It is about heroic leadership, bottom to top line. It is about bold and noble unity of purpose; walking with assured step, making a difference and getting things done for the “betterment of the world” at school, work and beyond. We stoke the fire on it and have a ton of fun doing it. inspire learning cultures of flourishing creativity and growth. We believe in these words, and the power of education for humankind. 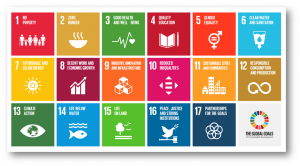 In 2015, world leaders agreed to 17 global goals for a better world by 2030. We focus our work on the vital importance of character education and leadership, in all of it. Indeed, we believe character leadership and education can unlock the capacities needed in the private, public and not-for-profit sectors. We serve at school, work, business and community in connecting learning and leadership to build strong, united cultures of capacity and contribution. Unite the diversity. Unity is strength; and grounded in a powerful bringing together of diverse talents, perspectives and capacities. It counters division. It constructively changes the world on campus and throughout companies and communities. Unity is not uniformity nor conformity. It is diverse and united. We help you build and lead such united cultures, classrooms, companies, communities and conferences. This is the real stuff, and we bring it. Inspire with character. It is real. So are its results. 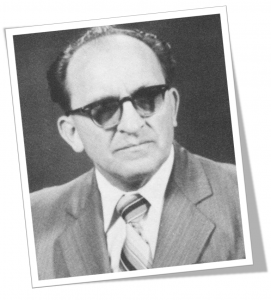 Character engages, inspires and builds the trust, understanding and capacity needed for genuine progress. Character matters. In every arena of endeavor, the world is increasingly challenged on this. In the face of that, we fiercely and unapologetically believe in the nobility and strength of the human spirit; and its ability to move us forward together, stronger. We work with noble minded educators, entrepreneurs and emerging leaders to engage it. Character matters. We explore, celebrate, and help move it. 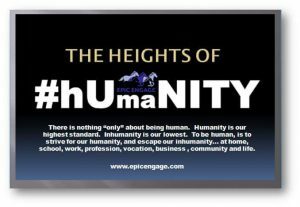 At Epic Engage™, we work with the “Hattenauers” of the world … those noble minded and world embracing educators, entrepreneurs, and emerging leaders who give a powerful damn about excellence and the people they lead and serve. They educate, lead, unite and inspire… and want to grow in doing that… and we help them do it. We help them build classrooms, companies and communities that are together, strong. We serve to advance the kind of character leadership and education that makes a difference in the world at school, work, business and community. That is our inspiration, our purpose and our mission. 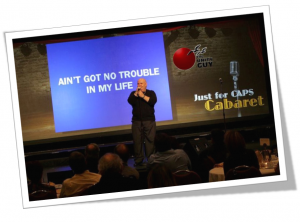 We passionately deliver on this work around character and unity, around leadership and education… through keynotes, breakouts, workshops, seminars, coaching, writing, acting, singing, cartooning, dancing, and more. Barry is a multiple threat delivering on character and unity; the real deal. That is our work, and our commitment. There is something powerful about the diversity of horses running together. Movement, spirit, drive and passion… united. Yes, we help move the needle on that. TOGETHER. STRONG. Our work and joy. CONTACT US today.